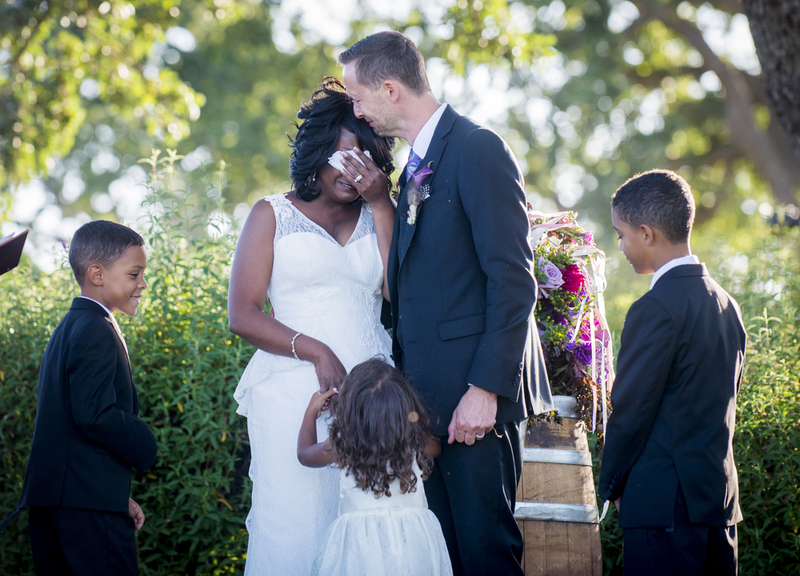 Often, your renewal of vows is more emotional than your first wedding. You have history, far reaching experiences, you’ve grown exponentially individually and together, your marriage foundation is far more matured, and here you are, saying “yes” again to the same person. If you are like other couples renewing their vows, you may be choosing a far simpler ceremony than your first big wedding. So many couples say they don’t want a big renewal. They want the ceremony for themselves and their children (if they have them). They know they stand as a sovereign unit, and don’t need a huge communal celebration to support them. Usually your children are present, sometimes the closest of close friends and perhaps some family members. But whoever they are, they are your rocks. In the same way I work with couples getting married for the first time to each other in a second or more marriage, I come to know you and your relationship as you want to be known. Together we design a ceremony exclusive to you, including your children’s participation, if you have them. You can be be over the moon about your ceremony too, the same as my first time couples. I know I feel that way about renewals. Typically a rehearsal is not needed yet a good talk through before is helpful. I thank you for considering a renewal of your vows. They are stirring, affirming and inherently powerful. They make yours and our world a more stable and loving place to live.